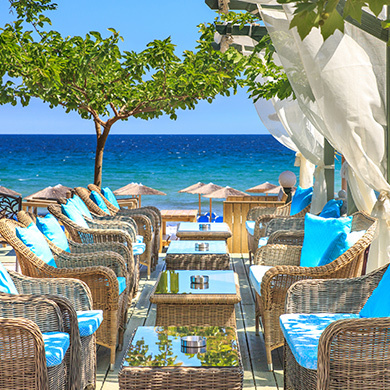 In front of the endless blue of Aegean Sea, our beachfront hotel offers the kind of holidays everyone needs. 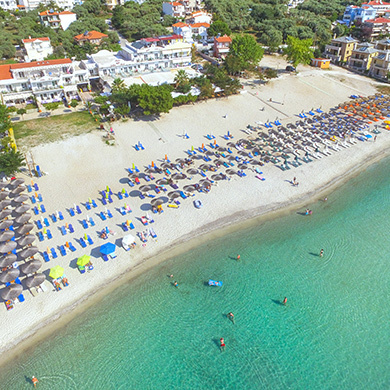 Located in the Golden Beach, the most famous beach in Thassos, and in combination with luxury and comfort, the accommodation experience gives a big sense of satisfaction. 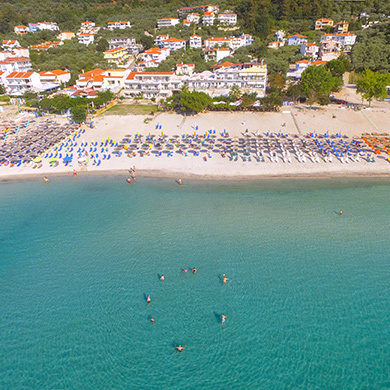 Golden Beach or Skala Panagias is 20 minutes away from the port of Thassos, Limenas. 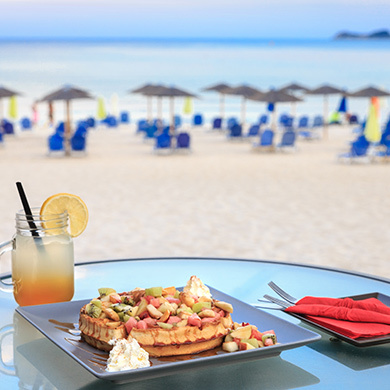 Our beach bar is located at the ground floor of our hotel and in front of the beach. Only if the owner carries them when he leaves the room. 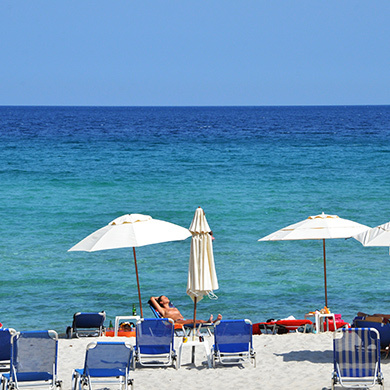 Free cancellation at least 21 days before the arrival. The Superior Triple Rooms are brand new and freshly decorated. Our Superior Triple Rooms can accommodate up to 3 people. They are comfortable and they offer a peaceful and luxuriοus stay. The Superior Double Rooms are newly constructed and they can accommodate up to 2 people. 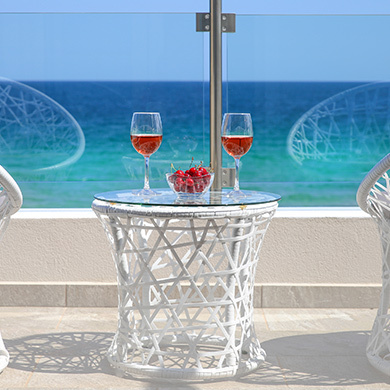 They are ideal for couples looking for a refreshing place for their vacation. 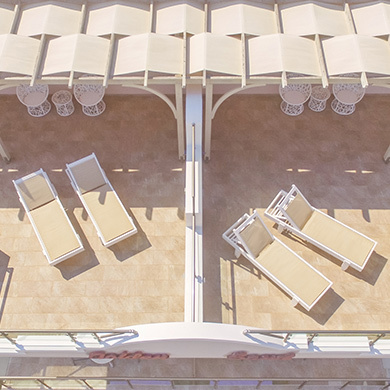 The Superior Connected Family Rooms are ideal for families and can accommodate ap to 4 people. They connect 2 spaces, one for the basic bedroom with the double bed and the other with the two single beds. They are specious and consist of everything a family will need for the summer vacation. 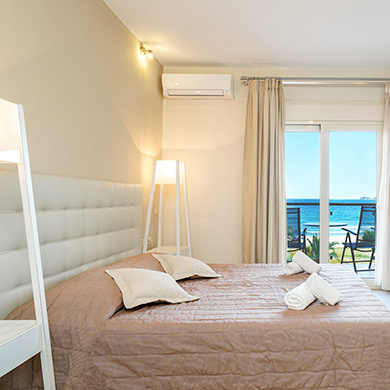 The Superior Quadruple Rooms are brand new rooms with capacity up to 4 people in total. 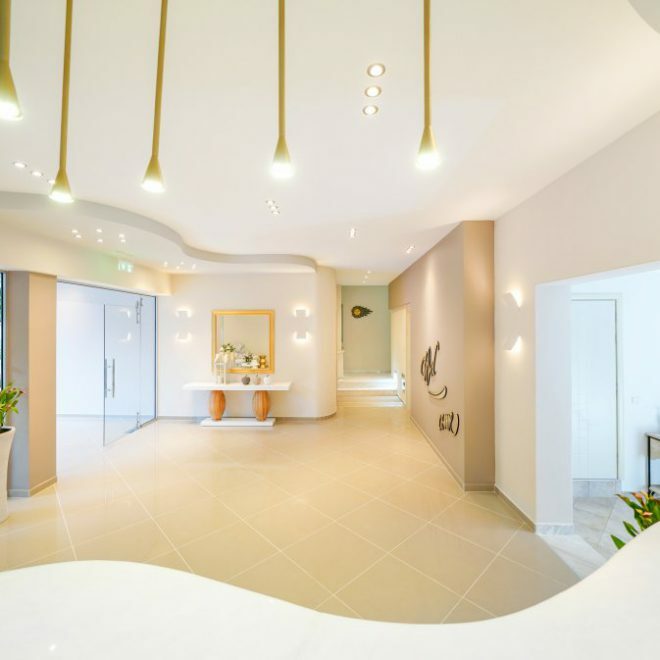 The comfort and the touch of luxury can describe these rooms, making them ideal for a dreamy vacation in front of the beach. The Classic Rooms in our hotel are comfortable and equipped with all the necessary amenities the guests need. 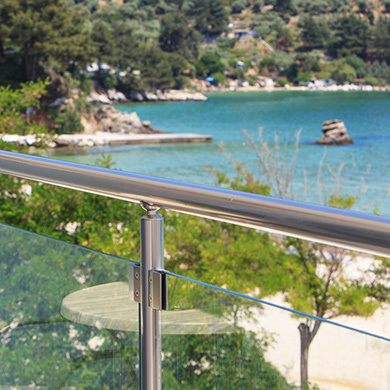 They can accommodate up to 3 people, so it is ideal for family, friends and couples. The Junior Suite can be charachterized as the warm atmosphere room in our hotel. 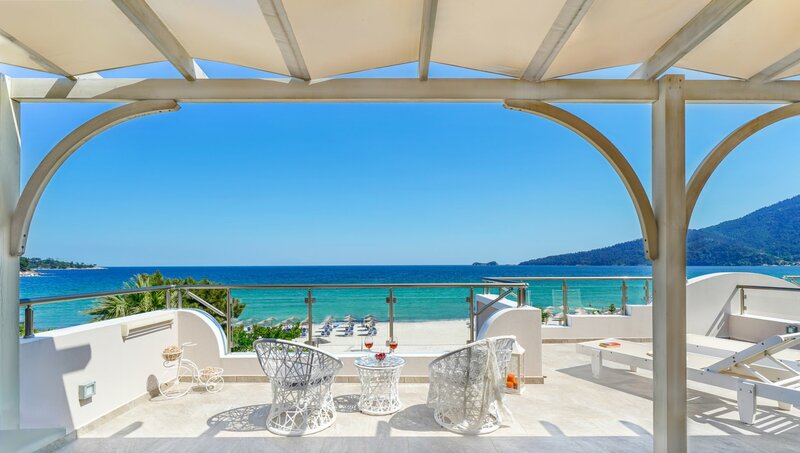 it can accommodate up to 3 people and it offers relax, comfort, well-designed vacation for unforgetable summer memories.